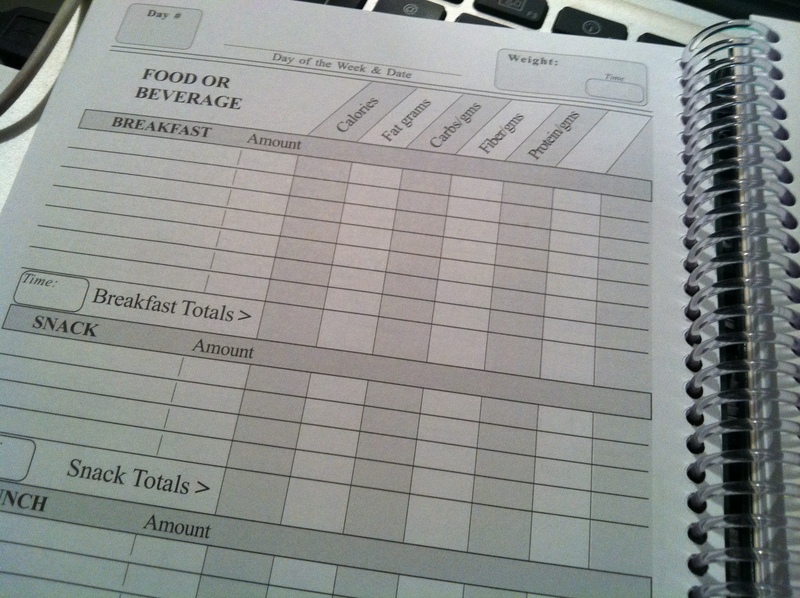 I am currently using the DietMinder Food and Fitness journal which is the same book that I used while I was at school. It is an awesome size that fits in every bag I would ever bring out for lunch or dinner. Inside, there are sections for breakfast, lunch, dinner and two snacks with columns for calories, fat, carbs, fiber and protein. Additionally, there is a section where you can write your workout and calories burned, your daily supplements, your total intakes for the day and notes about how you were feeling or your thoughts about your eating. 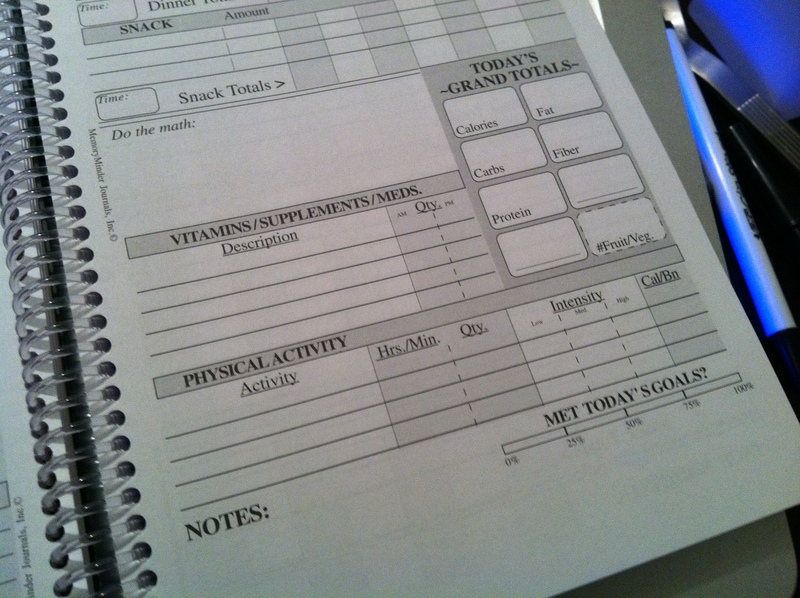 In the beginning, there are pages where you can write your goals so that you can compare you daily logs to your final goals and there is also a generic calorie counter in the back that lists healthy foods and their numbers. I’ve found that being able to see what I’ve eaten for the day helps me if I feel the need to binge or convinces me that I need to eat a bit more if I’m restricting and feeling under the weather. It has definitely come in handy on the road to recovery! Do you log your intake every day?